Whether you’re looking for new window treatments for a single room or designing a brand new home, we have a range of products to fit any need and budget. Stop by our showroom in Madera for a window treatment consultation and view our functional window treatment displays. 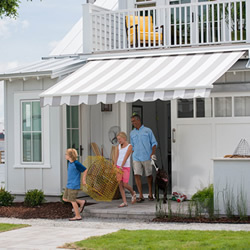 We specialize in custom shutters, blinds, shades, security shutters, and retractable awnings. In searching for just the right window coverings for our new home, I’m feeling fortunate. Price, friendly professional local service and quality products to chose from all wrapped up In one! Thank you to Kevin Massetti for helping to make our house a home! Amazing experience working with Kevin when trying to find the perfect shutters for my new home. Very professional, takes pride in his work. Great local family owned business. 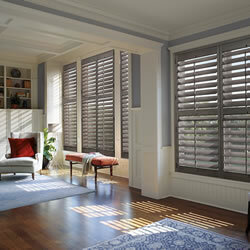 I highly recommend Madera Blinds & Shutters. Madera Blinds and Shutters supplies custom window treatments, blinds,shades, shutters and awnings to residents and businesses not only in Madera but also the greater Fresno, CA area including Sanger, Parksdale, Chowchilla, Clovis, Fowler, Malaga, Kingsburg, Yosemite Lakes and many other areas. Call us today for an in-home window treatment consultation!